Why is there no speed camera on the Marsh Road to cut down on accidents around Bexhill? To follow on from previous comments by myself and others who live in Bexhill, why is nothing being done about the constant accidents from Barnhorn Road to Pevensey roundabout, why are their NO speed cameras? Let’s take, for example, another council that was in a national paper, Hackney council. They implemented traffic cameras, which raked in £1 million in two months. 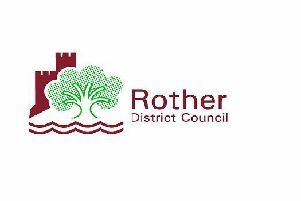 Now we constantly hear Rother is rather strapped for cash, so why are they not actively seeking ways to pull in extra revenue? If this was done, we would of course have more money for the town, be cutting speed down to its legal limits and cutting pollution, and the most important – saving lives, because you’re more likely to survive an accident at a lower speed. If Rother Council can spend around £280,000 of council tax money on the Colonnade for a cafe, the question we should be all asking them is why not on a project that will ultimately save lives, earning revenue for Rother. People have a choice to where they wish to eat, however the A259 (Barnhorn Road) is a main road and is the most direct route from town to town and is heavily used but HGV, cars and so on. We have Councillors and a MP, why are they sitting on their hands doing nothing, other than the opposite of what we want? Come on, use some common sense for a change, start listening to your residents instead of ignoring them.